Another snowy day! 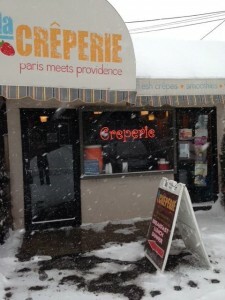 Thank you to the staff for hiking to the shop to make some warm delicious crepes! Hot off the press! 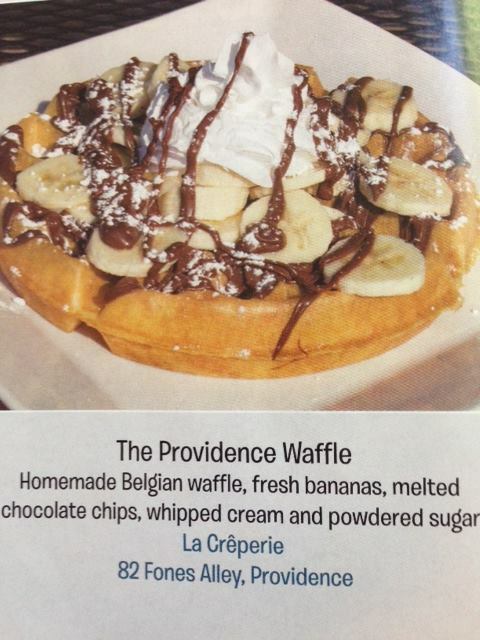 RI Local September issue: “A Wonderful World of Waffles Homemade in RI” features La Creperie’s waffles! Check it out! Need an energy boost? La Creperie has whey & soy protein, multi vitamin or immune blend add-ins for our smoothies. Plus, no charge to add baby spinach!! 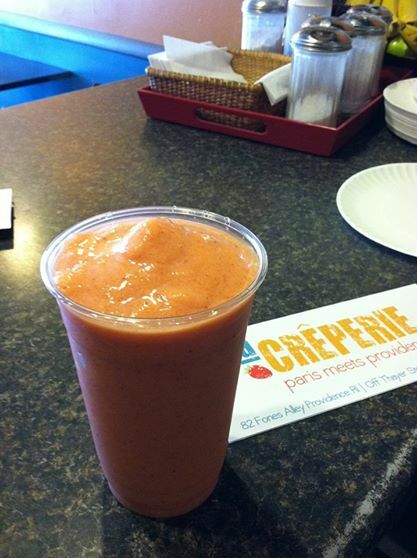 Go Baby: Mango, banana, baby spinach, OJ & honey! !